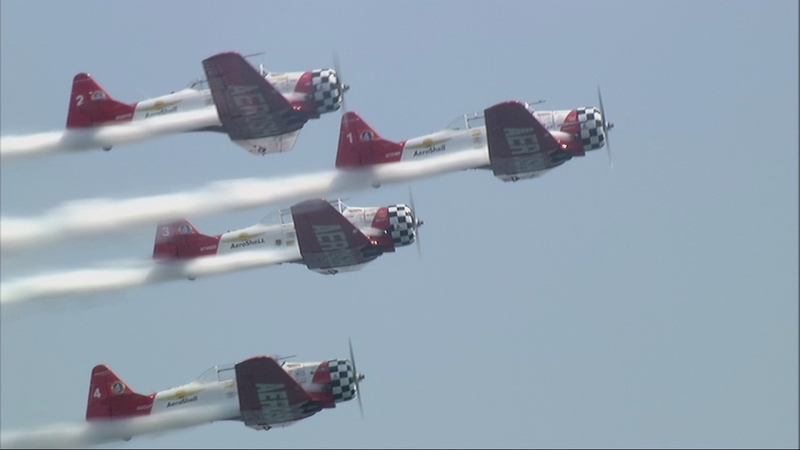 CHICAGO (WLS) -- ABC 7 PRESENTS: THE CHICAGO AIR AND WATER SHOW, presented by the City of Chicago and Shell, may be turning 57, but the event's breathtaking action will soar to new heights during THE ABC 7 CHICAGO AIR AND WATER SHOW special. Meteorologists Jerry Taft and Tracy Butler again was on deck to feature all the weekend's top highlights. Herb Hunter, the voice of the Air and Water show for more than 20 years, joined Tracy and Jerry for the broadcast. 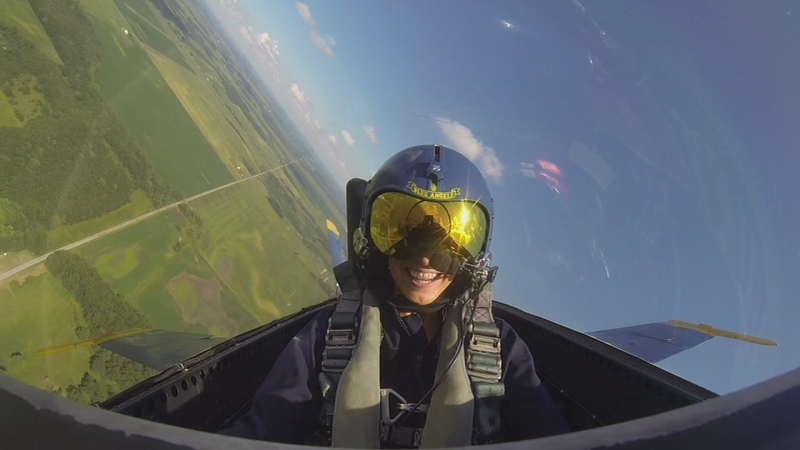 In addition, the special featured ABC 7 Meteorologist, Cheryl Scott, flying high over Chicago when she rides with the world-famous U.S. Navy Blue Angels. Cheryl said," Yes, I'm pumped about flying with the Blue Angels because I know it will be thrilling -- with a little bit of jangled nerves mixed in of course. These fighter jets are fast and fierce and when will I ever get a chance to experience seven times the force of gravity? Here's forecasting sunny skies and smooth flying." This half-hour special gave viewers a close-up look at this lakefront spectacle, featuring the awe-inspiring performance of one of this year's headliners, the world famous U. S. Navy Blue Angels. The Angels never cease to amaze and dazzle the crowd with their show of might, speed and precise, supersonic flight maneuvers in their F/A-18 Hornets. 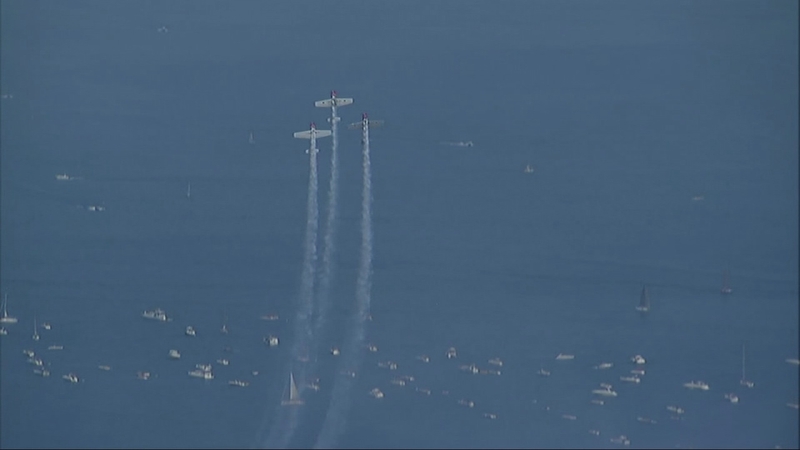 ABC 7 also spotlighted a new act for 2015, the French-based Breitling Jet Team performing in Chicago for the first time during their debut tour of the United States. The seven plane team wowed crowds in their L-39 Albatros jets that can reach speeds of up to 565 mph. The team is widely recognized for their precision and high-speed aerobatic performances. 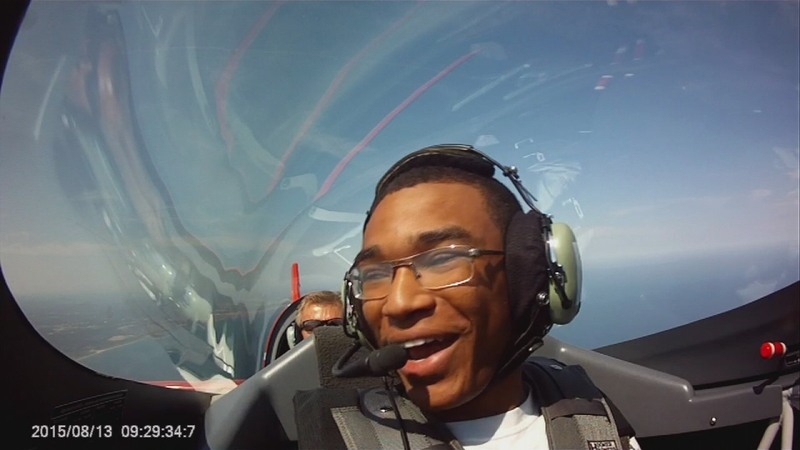 ABC 7 PRESENTS: THE CHICAGO AIR AND WATER SHOW special highlighted a wide variety of civilian acts with daredevil pilots performing their aerial stunts high above the Chicago skies. New and returning acts for 2015 include: AeroShell Aerobatic Team, Bill Stein Airshows, Dave Dacy in the Super Stearman Model 70, Firebirds Delta Team, Matt Chapman Airshows, P-51 Mustang, Aerostars, Team AeroDynamix (12 plane team), U.S. Coast Guard, U.S.A.F. F-16, U.S.N. F-18, Warbird Heritage Museum Foundation: A-4 Skyhawk Jet Tac Demo and Chicago Fire Department Helicopter Air/Sea Rescue. Also, guaranteed to stun and amaze onlookers, Sean D. Tucker & Team Oracle returned to fly daredevil feats of precision at 300 miles per hour. The Air and Water Show took place on the lakefront from Fullerton Avenue to Oak Street, with North Avenue Beach as the focal point of the event. The Air and Water Show is one of the largest free admission events of its kind in the United States, attracting more than two million people to Chicago's lakefront. ABC 7 PRESENTS: THE CHICAGO AIR AND WATER SHOW is produced by in cooperation with the Department of Cultural Affairs and Special Events. Meteorologists Jerry Taft and Tracy Butler were joined by Herb Hunter, the voice of the Air and Water show for more than 20 years as ABC7 Presents the Chicago Air and Water Show. Meteorologists Jerry Taft and Tracy Butler were joined by Herb Hunter, the voice of the Air and Water show for more than 20 years for the ABC7 Presents the Chicago Air and Water Show.